How do I link/unlink MY Carousell account to Facebook and Twitter? To link your Carousell account to Facebook and/or Twitter, you can go to the 'Me' tab -> Settings -> Share Settings. 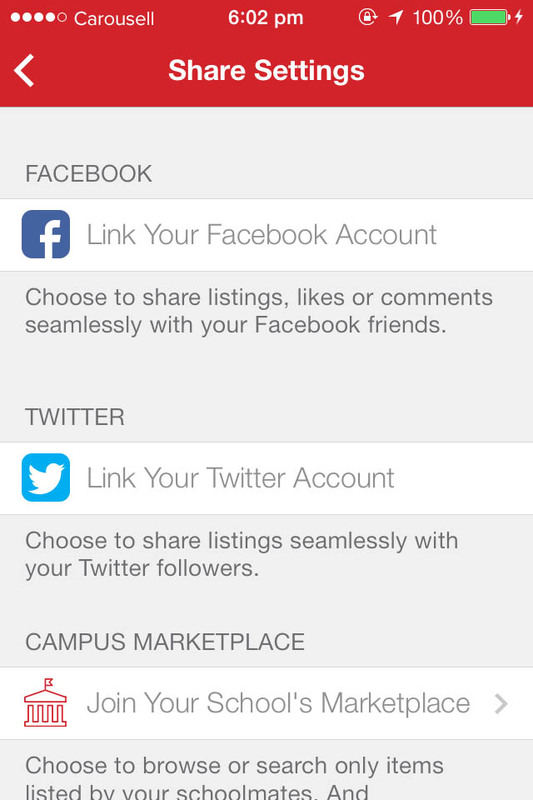 You'll be able to see options that will allow you to link to your Facebook and Twitter accounts. You'll also be able to toggle Share settings for 'Likes' and 'Comments'. Similarly, to unlink your Carousell account from Facebook and/or Twitter, go to the 'Me' tab -> Settings -> Share Settings. You'll be able to see an option that allows you to unlink your Carousell account from them.